pH Control – pH stands for hydrogen potent. It is actually the concentration of hydrogen ions present in your aquarium tank, and as you know, hydrogen ion concentration refers to acidity of the water in the tank. As fishes live in the water, performing all their biological activities, the pH value is bound to change. 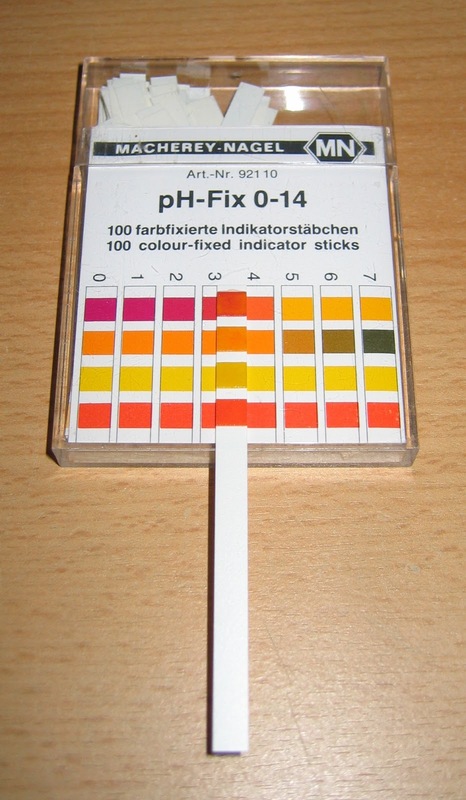 The best way to ensure that the pH values remain conducive for the health of your fish is to change the water often. Kh control – For the scientifically inclined people, Kh is the hydrolysis constant. Simply speaking, it is the ability of water to buffer, which means, maintain a particular optimum level of the acids and bases in it. Changes occur in the fish tank over time due to the inclusion of chemicals produced from biological activity. That is one reason why the water has to be periodically changed. Controlling nitrate levels – Ideally speaking, a saltwater aquarium must have a nitrate concentration of at the most 20 parts per million and a freshwater aquarium must have at the most 50 parts per million. Fish excretion is in the form of ammonia, which increases the nitrate level of the tank. There are protein skimmers available that can help to keep the nitrate levels to optimal levels within the tank. But these skimmers will not be able to remove the organic debris that collects in the tank from time to time. That is the reason why complete water changes become necessary. In fact, aquarium sellers do stress upon nitrate level maintenance as the most important reason for making periodical water changes. Detoxifying the aquariums – Dead aquatic organisms, byproducts of metabolic activities in the fish and other aquarium residents and the excretion products of your fish will definitely introduce some toxic products in your aquarium tank. Some toxic materials can also enter from the external environment, such as when things drop into your tank or when some microorganisms enter through the air. They could play havoc with the health of your delicate fish. You cannot effectively monitor such toxic intrusions. The best way is to change water. Cleaning aquarium accessories – If you have live elements in your aquarium tank such as live sand, live rock, sponges, bio balls, etc. it is best to provide them with clean water of aquarium standard to filter out the wastes that they produce from time to time. Controlling algal growth – Algae are microscopic plants that grow in all types of aquatic environment. They grow faster in aquariums because the water there is stagnant and favorable for their growth. However, algae can pollute the water in the closed environment to drastic levels, which could also mean health problems to your fish. Not only that, algae will compete with the fish with the resources available in your aquarium. If you change the water from your aquarium regularly, you are also removing the algae that have grown in them. Hence, water changes in your aquarium are a very important aspect of aquarium cleaning. They ensure that your fish live longer and healthier in the home you provide them. As the ecosystem in nature is very fragile and prone to triggering severe consequences if the balance of elements is altered so is the ecosystem inside of an aquarium a very fragile thing, leading to devastating consequences if the balance is thrown off. Because of this it is important that the elements of the water be tested on a regular basis and necessary alterations made as frequently as possible. There are many elements which are important for the well being of your aquarium fish; temperature and pH have the greatest immediate impact on their well being and should be monitored closely. There are certain precursors which can be tested in order to anticipate problems with these elements, and by closely monitoring these precursors an attentive owner can prevent the death of their fish in much the same way that an attentive physician may be able to head off the formation of cancer. The carbonate hardness, or kh, level of the water should be monitored closely using one of the commercial systems which are available on the market. These can be purchased from any saltwater fish dealer or through an online retailer such as Amazon.com. The hardness of the water is significant because it can lead to rapid swings in pH. These swings can cause the fish to become stressed, making them more vulnerable to disease than they would be otherwise. This means that it will take very little to make them ill; the germs from the fingers of human hands could be enough to cause an epidemic and wipe out your entire aquarium population. Remember what smallpox did to the Indian populations because their immune systems were not prepared? The consequences could be just as fatal. Fish will generally adapt to the hardness of the local water supply fairly quickly; however, to truly thrive their environment should be as close to that of their natural habitat (i.e. where they would be living if they were not living in a tank in your home) as possible. This is particularly necessary if you are entertaining the notion of breeding your fish-bear in mind that much like human newborns baby fish will not have had a chance to adapt to an environment that was not suited for them, and many may die because of this. Organic water plants will also thrive best in water that closely resembles their natural habitat. There are many commercial products available which will help to soften the water if the kh level is too high. By carefully monitoring the kh levels of your aquarium you will be able to stay one step ahead of the elements and help to ensure that your fish have the best chance of survival possible. As the ecosystem in nature is very fragile and prone to triggering severe consequences if the balance of elements is altered so is the ecosystem inside of an aquarium a very fragile thing, leading to devastating consequences if the balance is thrown off. Because of this, it is important that the elements of the water be tested on a regular basis and necessary alterations made as frequently as possible. Once upon a time, people believed that heating distilled water was dangerous because it heated faster then regular tap water. This has since been proved to be untrue. Distilled water does not heat any faster then your everyday, run of the mill, tap water. The definition of distilled water is water that virtually has had all its impurities removed through the act of desolation. Water is distilled by boiling it. As the water boils the steam is captured and then re-condensed into a clean container. Many companies have started considering cheaper alternatives for purifying water, one such method is deionizing the water. As of yet alternate methods, while successful, have been unable to completely purify the water. Distilled water is commonly used in lead acid batteries, automotive cooling systems, and steam irons. Another popular use of distilled water is in aquariums. Aquarium enthusiast use distilled water in their tanks because it lacks chemicals that are often found in run of the mill tap water. Many tap waters contain chlorine and chloramine, which are fatal to fish. All to often aquarium owners are stunned to learn how much money they spend each year just by purchasing gallon after gallon of distilled water. On way saltwater aquarium owners can save money is by distilling their own water, provided that they are willing to improvise. The first thing you will need to do is to find away to heat/boil the water, this can be done with either a gas or electric stove. Any normal cooking pot will do for the heating. The next thing to do is find a way to catch and cool the steam, because the typical cooler is made out of a long spiral shaped piece of copper tubing. Saltwater aquarium owners will have to find a different piece of tubing because water distilled in copper is fatal to the invertebrates that live in coral reef. If you are unable to find a spiraled pipe consider using a pot and to lids. As the water boils it will start to condense on the lid of the pot, this is distilled water. Cover the pot with the second lid and pour the condensed water into a cup. Repeat the process until you have enough water for your tank. It takes a long time to gather enough water. When setting up a saltwater aquarium it is important to remember that the distilled water must be supplemented. By itself the distilled water is to pure to sustain aquatic life. It is also important to make sure that the distilled water you are using has not been stored in any containers containing copper. The addition of copper in the saltwater is lethal to the invertebrates that live in coral reefs. Anyone who is unsure about the purity of their tap water should plan on using distilled water when they are setting up a saltwater aquarium. Make sure you add a saltwater mix to the distilled water. After filling the tank with water and installing your filtration system it's recommended that you let your tank sit empty for a few days. When the water quality tests accurately after the tank has been running then you can add your fish. Double checking your water could potentially save you from accidentally destroying your fish. The term “reverse osmosis systems” may sound too scientific to you, but these are as common to everyday life as the water you drink. To put it simply, reverse osmosis (RO) systems used in households refer to purifying devices, which forcibly separate solutes from water with the use of a partially permeable membrane (filter) and water pressure. To decide whether you need one, you must first understand how it works as well as its pros and cons. Understanding reverse osmosis - In osmosis, a selectively permeable membrane divides a solution according to its solute concentration. The natural motion of a liquid solution (osmotic pressure) causes its molecules to pass through the membrane in the direction of low to high concentration. By contrast, reverse osmosis systems cause the solution to flow from high to low concentration, preventing substances with larger molecules from coming through the membrane. Reverse osmosis systems also work differently in that they utilize external force. Domestic uses of reverse osmosis (RO) systems - Various RO systems are not only used in healthcare (e.g., dialysis), manufacturing, and urban planning, but reverse osmosis is also used at home for drinking water filtration and aquarium maintenance. In developed countries, tap water goes through water purification systems that use reverse osmosis among other means of treating water. In many parts of the world, RO water treatment devices for domestic use are quickly rising in popularity, mostly through door-to-door sales and appliance store promotions. Aside from potable water supply, RO systems are popular among aquarists, especially those who maintain a reef aquarium. If you plan to set up (or trade in) your freshwater fish-only tank for a reef aquarium in your home, then you should invest in good reverse osmosis systems. A reef aquarium has higher water chemistry requirements than a fish-only aquarium, especially in terms of salinity, so you need to use an RO system to simulate seawater. In addition, water supply to your home is chemically treated, and as such, it means trouble for the living things inside your tank. Substances can contaminate your reef tank’s delicate condition and encourage the growth of algae. Although the presence of algae in your tank is beneficial up to a certain point, having too many is bad in that algae compete with organisms in your tank for nutrients. They are also unsightly. Advantages and disadvantages - Reverse osmosis systems are chemical-free, so whether you’re buying a device for drinking water filtration or aquarium maintenance, this is their biggest advantage. Reverse osmosis doesn’t affect the smell and taste of water, doesn't require high maintenance, and doesn't use up too much power. However, RO systems have low back pressure, so the volume of water that they need is also great. Continued use will also quickly fill up your septic tank. RO systems are not “purifiers,” as they are only capable of filtering solutes but not killing bacteria. In addition, they may also filter out useful substances, such as calcium and magnesium. Reverse Osmosis systems are relatively environment-friendly and efficient. However, RO systems for home use may not be as cost-effective and efficient as they usually are at industry level, so examine your needs first before making a decision. Andy Seitz is an aquarium enthusiast and pet store owner who has been a featured member and guest lecturer at many aquarium clubs. To learn more about reverse osmosis systems and ultraviolet aquarium sterilizers, please go to marinedepot.com. A relatively cheap electronic pH meter. Most aquarists will happily debate water quality to the point of being obsessive. Water is, after all, the atmosphere on which your pets depend. It isn't necessary to have a degree in chemistry to maintain a healthy aquarium, but you will need to do some water testing. Axolotls are extremely sensitive to water quality. You must be prepared to test the water in your tank on a weekly basis to ensure your pet's continued good health. With that in mind, there are some basic measurements you need to at least understand to some degree. The "pH" sign for most people signals an assessment of acidity. When viewed as a scale, low numbers mean greater acidity and higher numbers indicate "basic" or alkaline water. The actual measurement is the balance in the water between hydrogen (H+) and hydroxide (OH) ions. Axolotls are freshwater creatures, so they need a pH range of 6.5 to 7.5. With this measurement, it's easy to confuse terms. KH refers to alkalinity, which is not the same thing as "alkaline." Alkalinity is a description of the water's ability to neutralize and absorb acid, thereby acting as a "buffer." If the KH level in water is high, there won't be many changes in the pH level, and the water will be more stable. 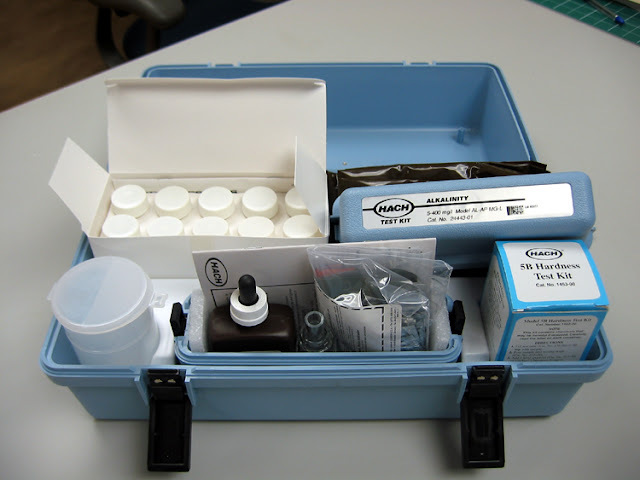 In its most simple terms, specific gravity measures the salinity of water. It is taken with a hydrometer or a refractometer. Since axolotl are freshwater creatures, the specific gravity of their water should be around 1.0000. Axolotls prefer slightly hard water. If you have limescale in your cookware or around your pipes, you have hard water. If your axolotl is living in water that is too soft, its color will fade, especially the shade of the gills. This indicates your pet is suffering from temporary anemia. You will need to add salts to the water to increase the hardness. Since these equations can be confusing, it's best to find out in advance if the water in your area is hard or soft and consult with an experienced aquarist about the best corrective measures to test. The variance in water quality in this regard can be so extensive, there is no one set formula to "fix" the measurement. In general, however, soft water tends to be more acidic and hard water is more alkaline in terms of pH. Axolotl water chemistry can be tricky. Here is more information on Axolotl and how to care for them. The Amazon River is full of rooting vegetation which is a direct cause of the acid nature of the water. Before you choose your Discus you must have the water parameters correct or matching closely to the place of where you are to buy your discus Fish. Unless you are lucky enough to live in a place where the natural tap water is Acid and Soft, you will need the use of a Reverse Osmosis filter and a HMA filter. The RO filter will remove 99.9% of everything in the water, making the Ph around 6.2 depending on where you live. The HMA filter will remove the heavy metals and the Chlorine, which are extremely harmful to discus. 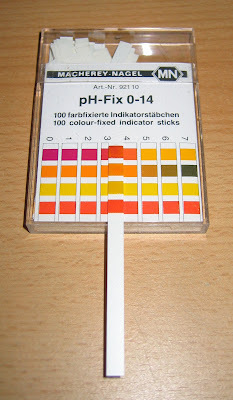 The HMA will not alter the Ph which is ideal, because we can use that to blend with the RO water to make the correct Ph. Now if you are breeding you will need the Ph to be between 6.2 and 6.5. If you are just keeping discus say in a show tank you will need the Ph between 6.7 and 7.0. With the hardness between 3 and 5GH. I like to use 'Indian Almond Leaves' in all my discus tanks as I find it gives a natural additive to the water similar to liquids you can buy which claim to add chemicals to the water that will give you that Amazon river consistency. The top breeders in the far east use these leaves. I always favour the natural approach every time! Temperature should be 29 degrees centigrade. Do your water changes regularly, the often the better, and you will not go far wrong!